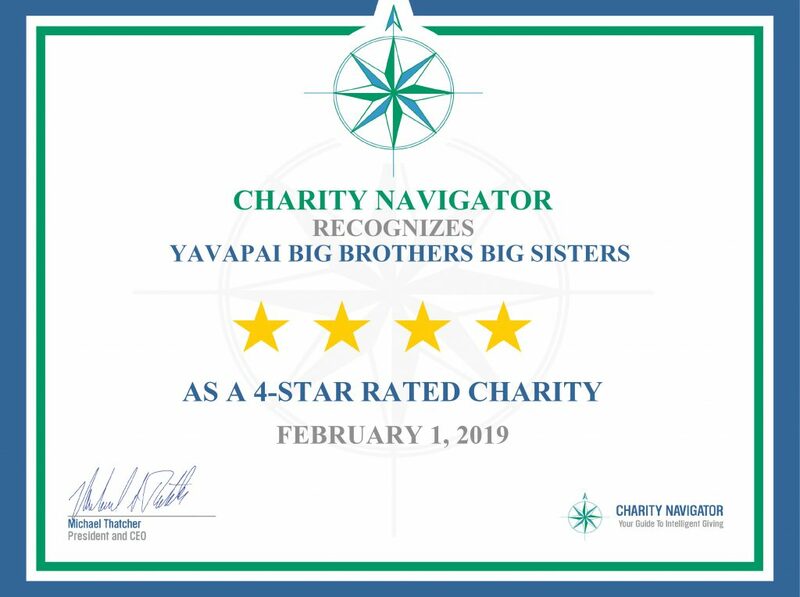 From the President & CEO of Charity Navigator, Michael Thatcher, “We are proud to announce Yavapai Big Brothers Big Sisters has earned our third consecutive 4-star rating. This is our highest possible rating and indicates that your organization adheres to sector best practices and executes its mission in a financially efficient way. Attaining a 4-star rating verifies that Yavapai Big Brothers Big Sisters exceeds industry standards and outperforms most charities in your area of work. Only 24% of the charities we evaluate have received at least 3 consecutive 4-star evaluations, indicating that Yavapai Big Brothers Big Sisters outperforms most other charities in America.